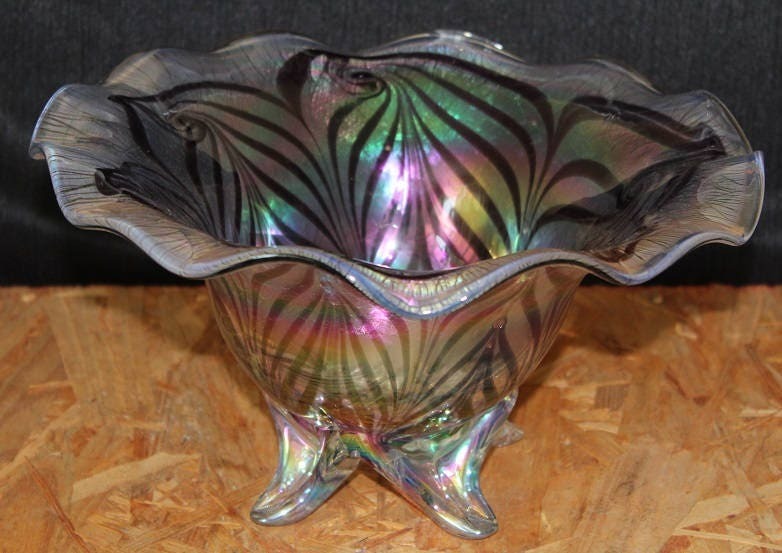 This great blown glass centerpiece bowl features an overall iridescent color with a purple geometric design blown into the glass. 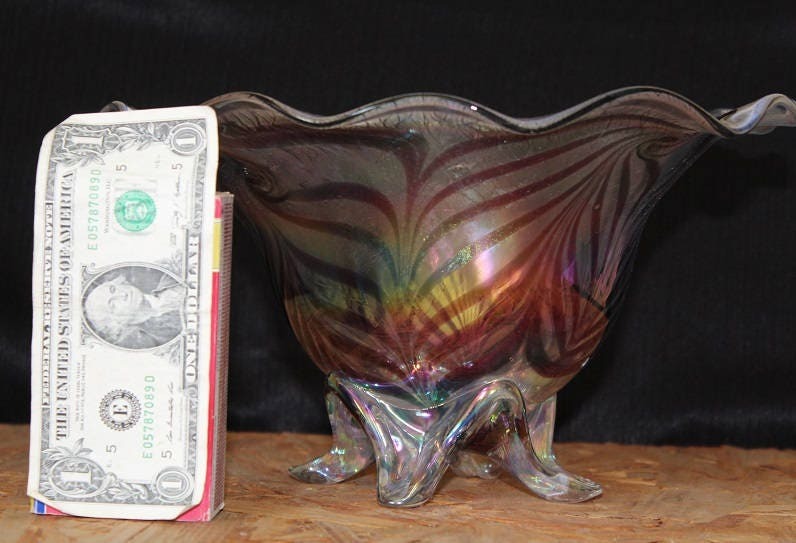 The outside of the bowl has a crackle finish under rim to about 1/2 down. The bottom half (on the outside) is smooth to the feet. The inside of the bowl is smooth. 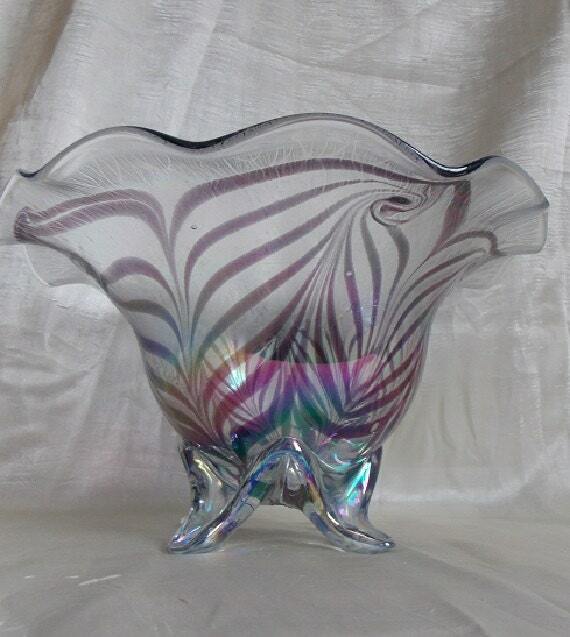 This centerpiece bowl sits on 4 up-turned feet, and the rim is scalloped. 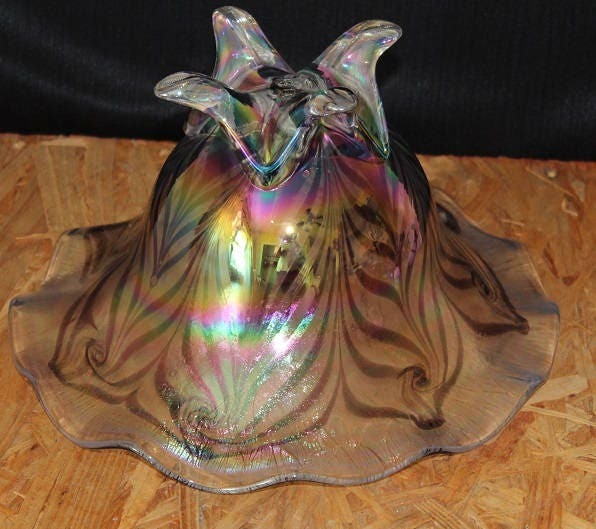 This bowl is hand blown with a pontil on the bottom. 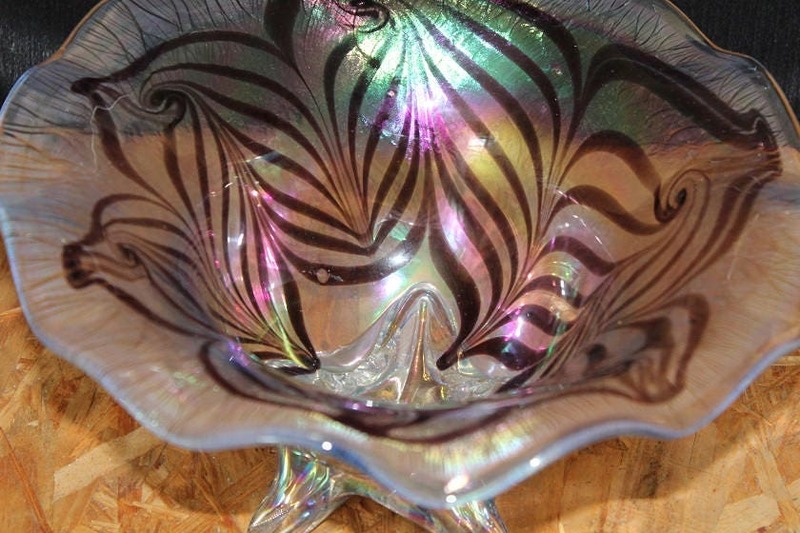 This art glass bowl certainly commands attention!